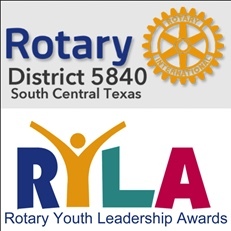 Dominion Rotary Club of San Antonio recently sponsored two students for the RYLA (Rotary Youth Leadership Awards) Conference. Stephanie Gish, Past President of the Dominion Club hosted a podcast for TMI and featured the two students. To listen to the podcast, click here.